When an organization invests in technology, particularly if it is a significant investment, it should do everything in its power to make that technology stick, while also ensuring a positive return on investment and along with the expected business benefits. However, with inefficient preparation and other factors, marketing operations management deployments can be botched and a waste of time. 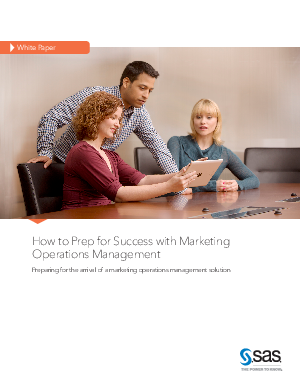 Download this whitepaper to see the benefits of marketing operations management solutions and see how your organization can seamlessly deploy it without interrupting operations.